Ariana Grande performed in the U.K. last night, marking her first time since the One Love Manchester benefit concert in June 2017. 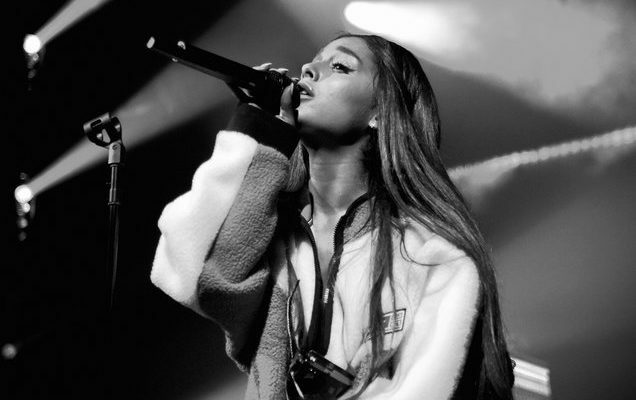 Taking the stage at London’s KOKO as part of Capital FM’s Up Close series, the 25-year-old musician treated an intimate crowd to hits from Sweetener, Yours Truly and My Everything. The “No Tears Left to Cry” singer opened the show with a solid 10 tracks from the Republic Records-released Sweetener, that were then followed up by a few hits from Yours Truly, which recently celebrated its fifth anniversary. Toward the end of her performance, she sang an a capella rendition of the My Everything hit “One Last Time,” with fans immediately joining the sing-along. Grande was having a blast on stage and didn’t want to stop; asking fans for help, “Somebody’s going to have to give me the hook.” After the show, Ariana tweeted about the experience, thanking the crowd for their presence and energy.